Brides Today - Oct 2018. Beautifully shot free flowing, ballet choreography in the Brides Today - Oct 2018. 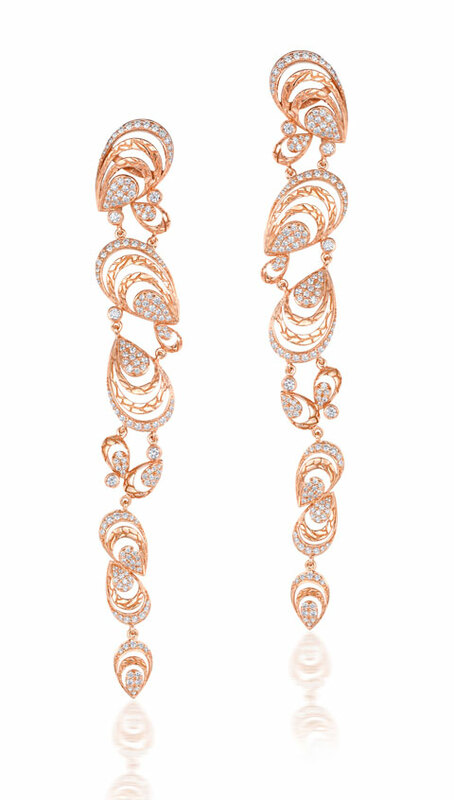 The dancer wearing our "Autumn Leaf Fall" cascade earrings in rose gold with scatters of round brilliant diamonds ... 4.2" tall, flexible shoulder dusters.